amassed over 80 years of collective experience performing in South Africa and around the world. 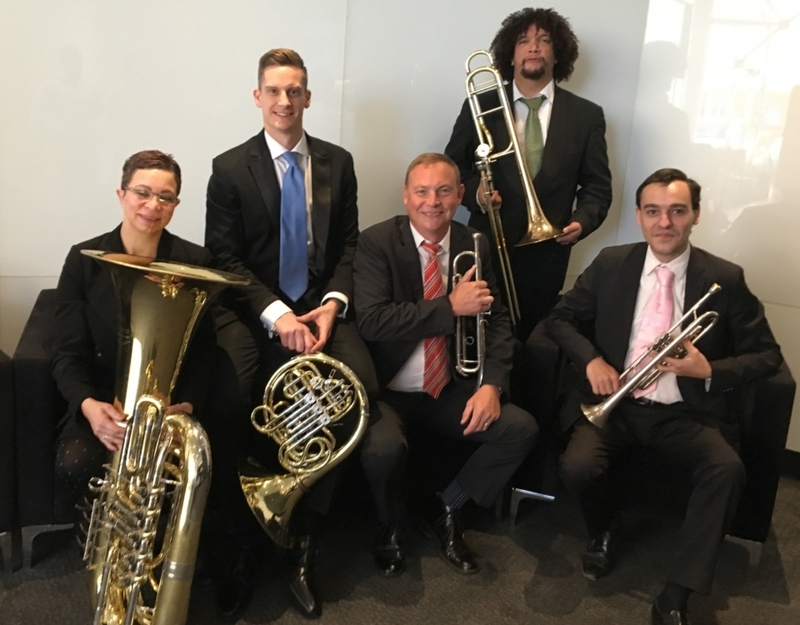 Brass Collective programmes are formulated to educate, entertain and inform, and are suitable for all ages of audience and fans of a diverse cross-section of genres. 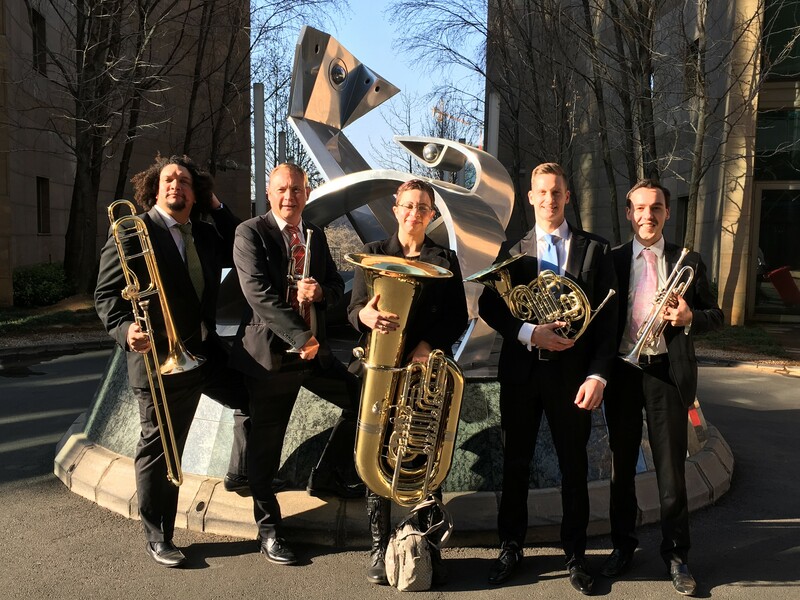 The members of Brass Collective are on a constant look-out for new music written by young and established South African composers, both to continue a legacy of world-class compositions and also to inspire and attract young composers into writing for brass instrumentalists. Philip Cox is one of the most active cross-genre instrumentalists in South Africa. “Top Drawer”, his debut album, has outstripped it’s classical and many of its contemporary competitors in album sales. It was nominated for a Libera Award by the American Association of Independent Music in 2015. Philip has commissioned four new works for Trumpet and Orchestra, which will be featured on “Vanguard”, his new album, to be released mid-2017. Philip, along with colleague Tim Roberts, recently co-commissioned composer Paul Hanmer to write a Requiem Mass for Chorus, Orchestra, and Soloists, which will be premiered in June of 2017. Alex Urban is Principal Trumpet of the Gauteng Philharmonic Orchestra. He has toured nationally and to the Far East on frequent occasions with stage shows that originated here in South Africa. Alex is a regular member of the Johannesburg Festival Orchestra. Chris Bishop is an experienced musician, teacher, and ensemble and performance coach. Born in England, he studied at Trinity College of Music, London, and has been Co-Principal Horn with the Johannesburg Philharmonic Orchestra since he moved to South Africa in 2007. In 2013 Chris was appointed Principal of the Cape Gate MIAGI Centre for Music in Soweto. 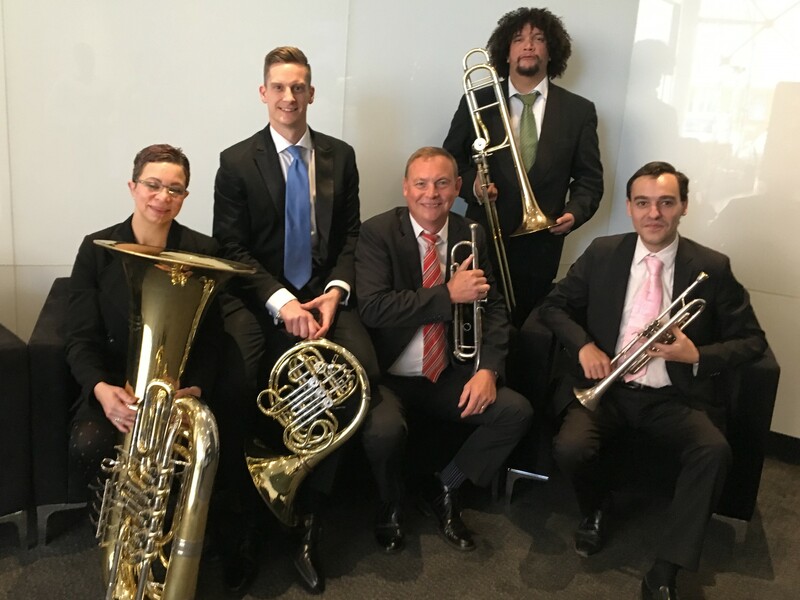 Justin Sasman was Co-Principal Trombone of the Cape Town Symphony Orchestra until 2010 when he accepted the position as Head of Brass at St John&’s College, Johannesburg. He is now a lecturer in Brass Studies at The University of the North West in Potchefstroom. Justin is a regular performer with orchestras and bands in Gauteng and can often be seen on stage with Bombshelter Beast and the Jägermeister Brass Cartel. Danél Mecloen has been the Principal Tuba player for the Johannesburg Festival Orchestra since 2006. Along with maintaining a busy performing career Danél teaches brass instruments and piano at St Katherine’s and the Ridge Schools. She has been a regular performer for the SA National Youth Orchestra, Johannesburg Philharmonic, and the KZN Philharmonic Orchestras. She completed her Master’s Degree in Brass Studies in 2007.